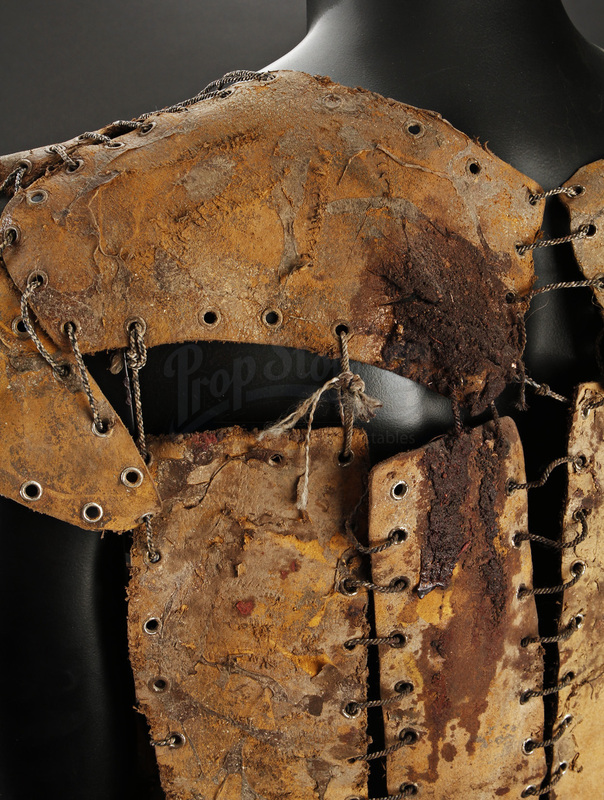 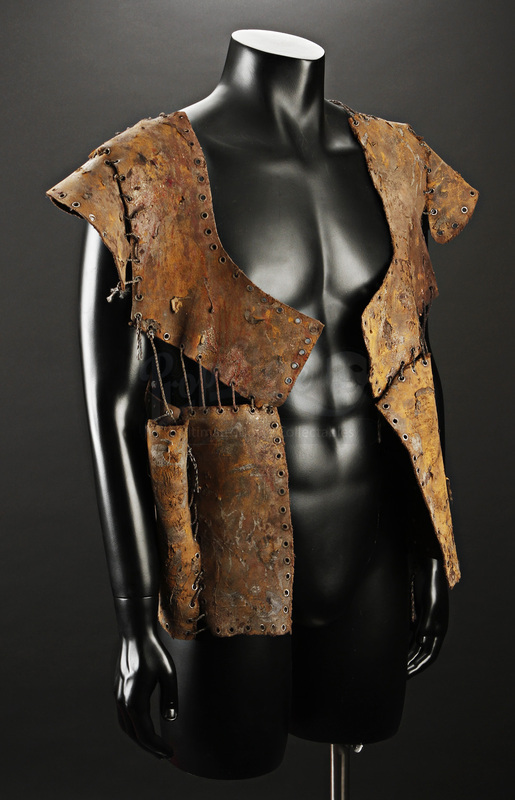 Papa Hades' (Michael Bailey Smith) Death Wound Leather Vest from Martin Weisz’s, The Hills Have Eyes 2. 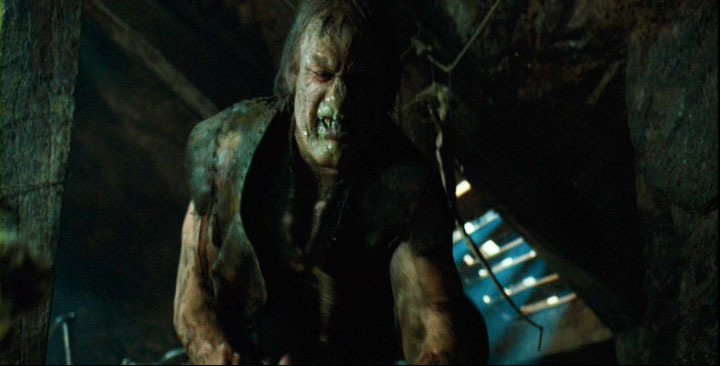 Now the head of the mutant family, Hades is the film’s lead antagonist, doing everything he can to keep his family line alive, even if he has to torture every female outsider he can find in order to do so. 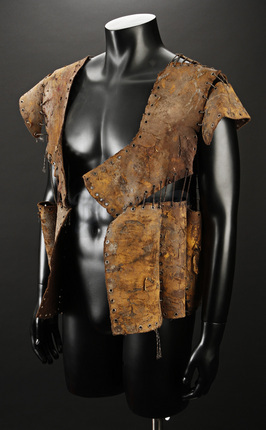 The vest is worn by Hades throughout the film, however this particular vest includes an attached tag indicating that it was used in scene 98 "after bayonet and rotten steel." 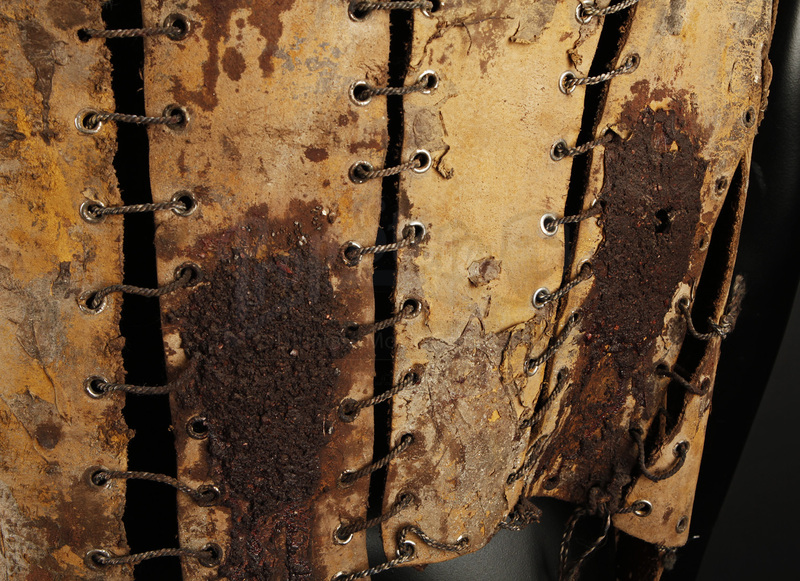 It is made of many small pieces of dried leather, laced together loosely by braided cord. Please note that this vest features intentional wear, all done by the costume department likely to highlight the squalor conditions the character lives in. 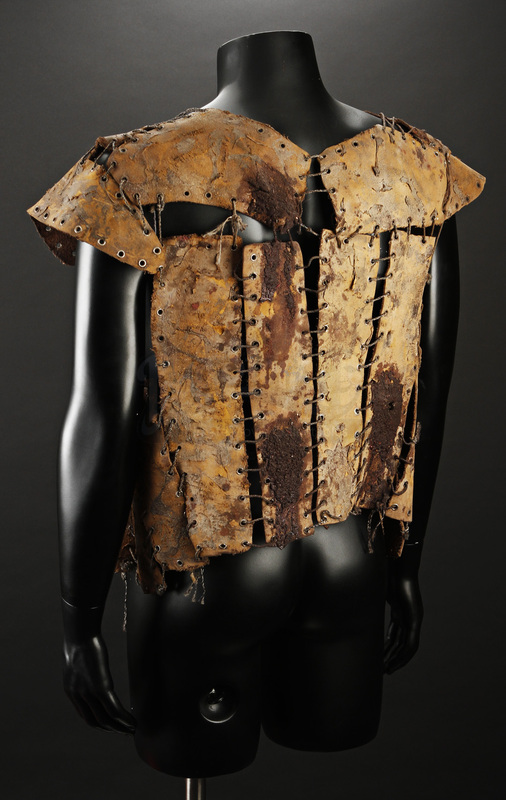 It features a bloody hole in the back from where the character is shot with a bayonet. 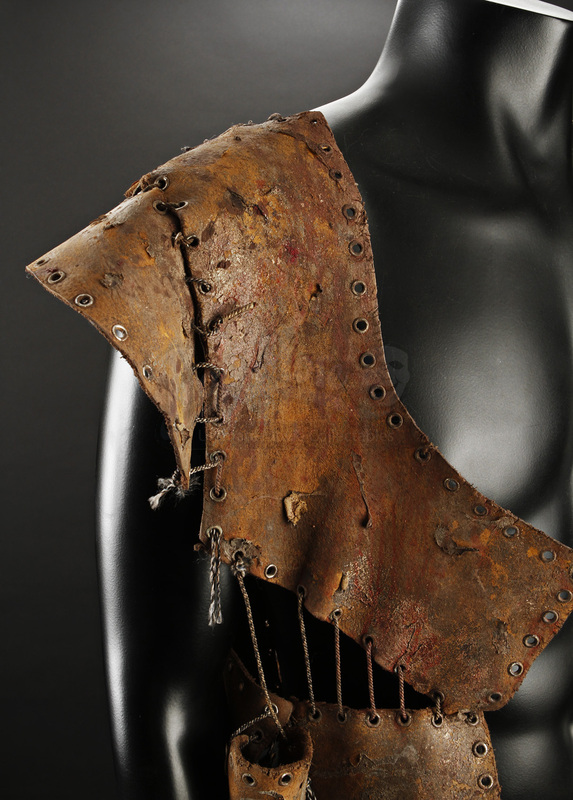 Despite intentional wear, this item remains intact and in good production used condition.